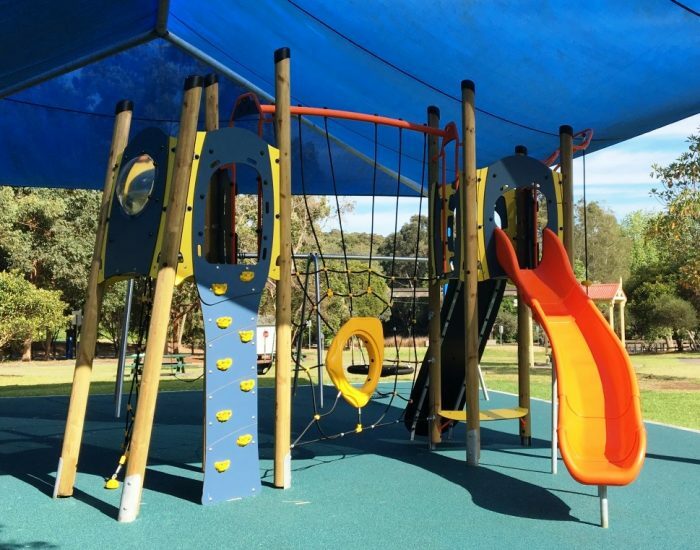 This perfect pit stop along Pittwater Road has plenty to keep children of all ages and abilities stimulated and occupied. 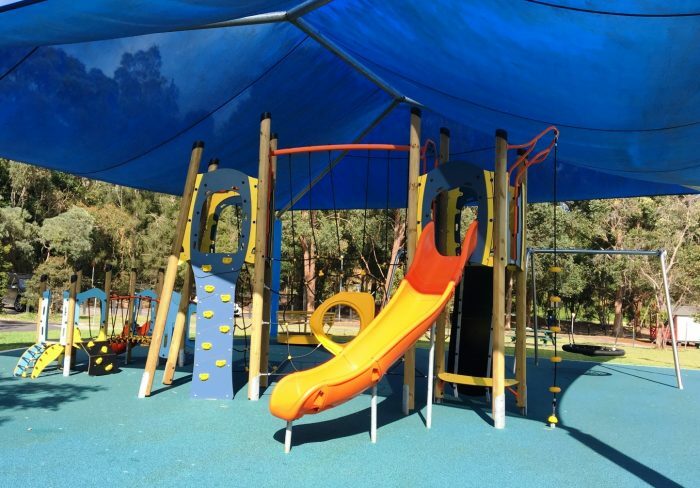 For those little ones that love to play house there is a very cute and age appropriate play unit in the Brill Plus. 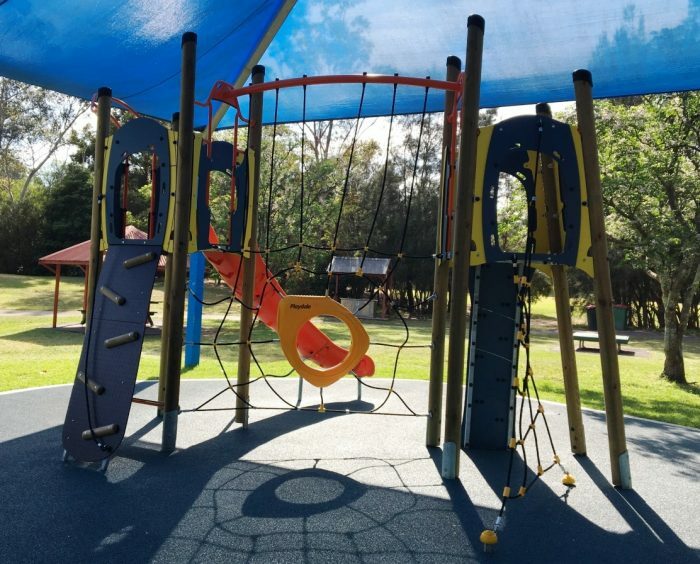 Great play value and exciting activities are all packed into this exciting two tower toddler play unit, featuring sliding fun, role play opportunities, play panels and challenging climbing play. 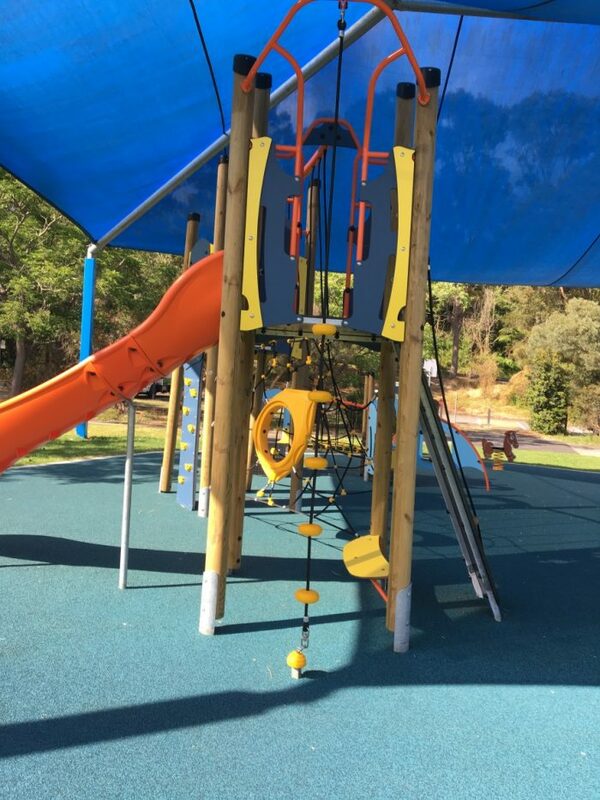 For the young daredevils, accelerated climbing fun is on the menu with the Twist Plus unit. 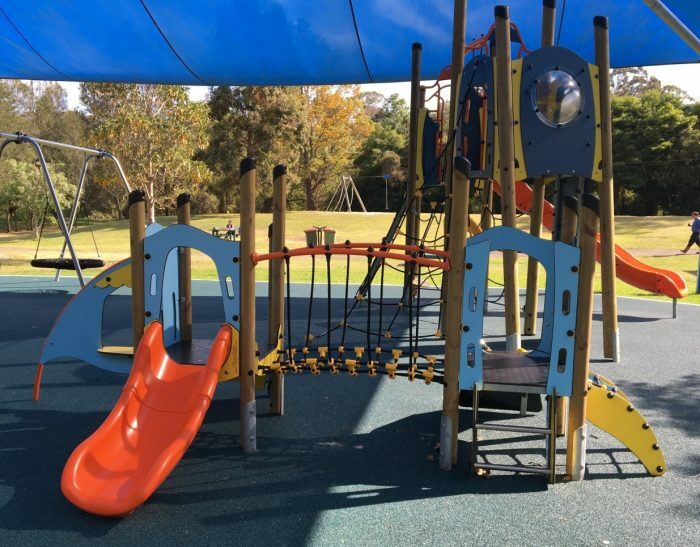 Climb to the top of the tower and whizz down the fast-paced slide and challenge themselves on the Climbing Wall, Rope Ramp, Rope Climb, Twisted Scramble Net and Spiders Web. 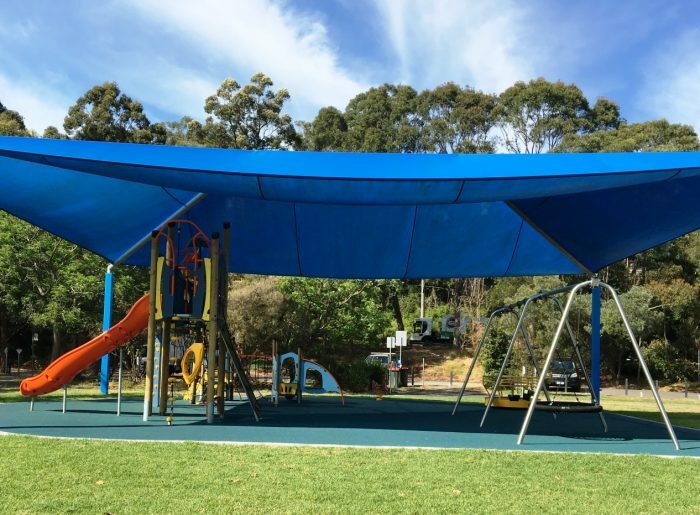 There is an awesome flying fox, 2 Bay Swing with Birds Nest Seat, Toddler and Strap Seats along with additional independent items to keep children engaged and active. 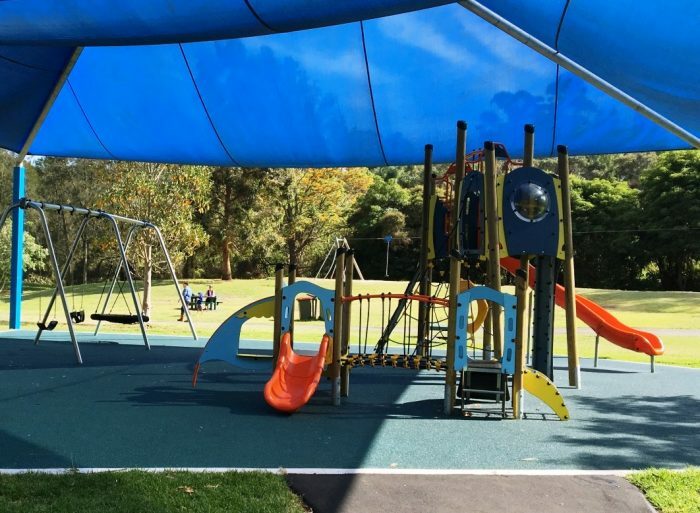 The reserve has open areas for picnics and open space games and there is an excellent bike/scooter path where children can learn about roadside etiquette as it is marked out with roundabouts, traffic signs and other road markings. 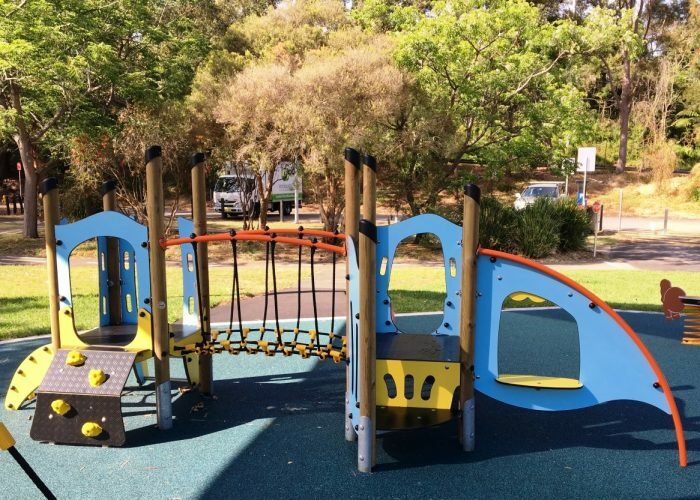 The playground also creates a welcome reprieve for bush walkers and nature players who’ve been experiencing the short walks along the creek.